Freshwater fishes are of major economic and nutritional, ecosystem-services, scientific, and historical and cultural importance, worldwide. Today, fishing remains the largest extractive use of wildlife in the world. In 2010, the annual capture, combining both wild capture and aquaculture, was 149 million tonnes (FAO, 2012). About 94% of all freshwater fisheries occur in developing countries (FAO, 2007). They provide food and a livelihood for millions of the world"s poorest people, and also contribute to the overall economic wellbeing by means of export commodity trade, tourism and recreation (Worldfish Center, 2002). In the Mekong River basin alone, some 55.3 million people depend on freshwater fish for nutrition and livelihoods, with an estimated average fish consumption of 56.6 kg/person/year (Baran et al., 2007). It is estimated that freshwater fishes make up more than 6% of the world"s annual animal protein supplies for humans (FAO, 2007). In Bangladesh, Indonesia and the Philippines freshwater fishes comprise 50% of animal protein intake, while in Thailand and Vietnam its share is 40%. It is the major and often the only source of animal protein for low income families (Briones et al., 2004). There are serious threats to this valuable resource with most wild fisheries near maximum sustainable exploitation levels (Delgado et al., 2003). Fishing provides a lasting vestige of utilizing the resources of a global commons, which are often part of maintaining traditional and cultural customs (Clausen and York, 2008). • Recreational fishing accounts for at least 4% of the world"s fish catch. It has an overall value of US$116 billion a year (Helfman, 2007). • Of the 29,966,920 tonnes produced by freshwater aquaculture in 2005, fishes represented 96% of the total, whereas crustaceans, molluscs, amphibians and all other animals combined only represented the remainder 4%, with 1,308,547 tonnes (FAO, 2008). • Aquarium keeping is a US$15-$30 billion international industry. With over 4,000 freshwater fish species, these dominate the trade, accounting for 80%-90% of the estimated 350 million fishes traded annually (Sales and Janssens, 2003; Helfman, 2007). • The worldwide trade in ornamental fishes has an export value of about US$186 million, a substantial proportion of which is from developing countries (Watson, 2000). It is estimated that the global values of ecosystem goods (e.g. fish as food and fresh water to drink), ecosystem regulation (e.g. creation of climate and rain through the hydrological cycle), ecosystem support (e.g. nutrient recycling), and cultural considerations (e.g. recreation), yields a value measured in trillions of dollars (Reid et al., 2013). The following table illustrates the value of freshwater ecosystems by unit area being close to 20 times higher for wetlands and 10 times for lakes and rivers with respect to marine and terrestrial ecosystems. Piraputanga, Brycon hilarii. Photo: Jose Sabino. Consumption of organisms by fish is a salient feature, which can regulate trophic structure and thus, influence the stability, resilience, and food web dynamics of aquatic ecosystems; changing as fish pass from one life stage to another. The feeding pattern of fishes can also influence the temporal availability of nutrients and the potential for algal blooms in nutrient-rich lakes, since fish mineralize nitrogen and phosphorus through excretion and defecation, thereby making these nutrients available for primary production. Fish communities can regulate the carbon-fixing capacity of nutrient-rich lakes, and thus, indirectly mediate the flux of carbon between a lake and the atmosphere. A study in Wisconsin, USA showed that a nutrient-rich lake with zooplanktivorous fish became a carbon sink, because zooplankton were suppressed, and primary producers (carbon fixers) were released from grazing pressure. Through bioturbation (the physical disturbance of sediment associated with foraging or burrowing activities by consumers), fishes can modify the structure of bottom conditions in rivers and lakes. For example, benthic algivorous fishes like Campostoma anomalum, C. oligolepus, and Notropis nubilus, resuspend silt, detritus, and other particulate organic matter from the bottom into the current while feeding, and thereby maintain a rapidly growing algal community and enhance food availability for collector-filterers (aquatic animals that filter small particles of organic matter from the water flowing over them). In turn, detrivorous such as Prochilodus and Semaprochilodus, widely distributed in South American large rivers are key components of fluvial ecosystem energetic pathway due to their capability for recycling organic matter. Fish generate a large number of services related to their movement patterns, including daily, seasonal, and yearly migration patterns in lakes, rivers, estuaries, and oceans. Fish that are consumed also transport nutrients across spatial boundaries and thereby link different ecosystems. It has been found that carcasses of coho salmon (Oncorhynchus kisutch) constituted a food source for 22 species of mammals and birds living near the river. There is also considerable evidence for the importance of fish as "mobile links" between ecosystems at short distances, relating to their daily migrating between feeding and resting areas. In lakes, fish transport and redistribute phosphorus and other essential nutrients between the shore, pelagic, and deeper bottom zones. Fish communities, and specific species, are excellent indicators of biological and ecological integrity due to their continuous exposure to water conditions. Fishes display an array of biotic responses, such as changes in growth, distribution and abundance related to water pollution, critical habitat degradation, eutrophication, organic enrichment, chemical toxicity, thermal changes and food availability and thus, should be key elements of ecosystem monitoring programs. When fed upon by other organisms, fish, including eggs, fry and carcasses, serve as passive links between aquatic, aerial and terrestrial ecosystems, contributing to other food webs. For example, the collapse of the population of landlocked sockeye salmon (Oncorhynchus nerka) after the invasion of opossum shrimp (Mysis relicta) in Glacier National Park in Montana, USA, resulted in a 96% decrease in the population of bald eagles in the Flathead River-Lake area, which in turn lead to a decrease of visiting bird-watchers from 46,500 to 1,000 persons. Other wildlife populations were also negatively affected by the loss of sockeye: coyotes (Canis latrans), minks (Mustela vison), river otters (Lutra canadensis), white-tailed deer (Odocoileus virginianus), and grizzly bears (Ursus arctos). Hence, the number of recreational activities in Glacier National Park dramatically decreased as a result of altered ecosystem function and loss of ecosystem services owing to a reduced fish population. Due to the size and abundance of fish they are easily sampled research objects that provide information crucial for management and our understanding of freshwater ecosystems (Holmlund and Hammer, 1999). They are excellent research models in areas such as phylogenetics, evolutionary biogeography and ecology. Due to the fact that the African cichlid fish radiations are the most diverse extant animal radiations, they provide a unique system to test predictions of speciation and adaptive radiation theory (Seehausen, 2006). The present fish fauna is living witness to climatic changes in the past, a fact that gives us information about past climate. 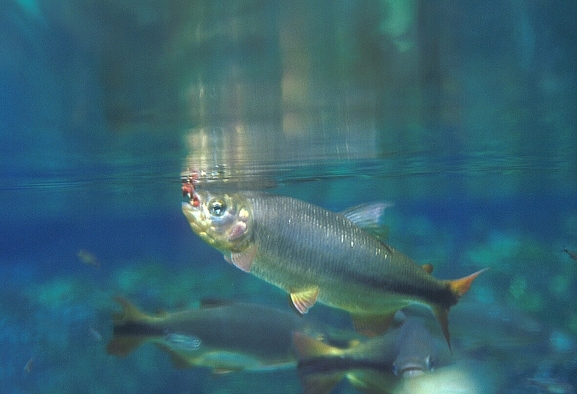 For example, the distribution of Arctic char (Salvelinus alpinus) in Scandinavian lakes reveals a climatic pattern of a maximum water temperature of 16¬∞C from the most recent glaciation period 10,000 years ago to today (Holmlund and Hammer, 1999). Due to their life history traits fishes are suitable as early-warning signals of anthropogenic stress on natural ecosystem dynamics, or conversely, as indicators of ecosystem recovery and of resilience. They are sensitive to many stresses from parasites to diseases to acidification. Further, due to such factors as rapid growth rates, large body sizes, habitat choice, and trophic level, many fish have the capacity to bioaccumulate toxic substances (Holmlund and Hammer, 1999.). South American tropical fish Apteronotus albifrons (Gymnotiformes) have been proposed as biological early warning system to detect the presence of potassium cyanide in water by means of its electric organ discharges (EOD). Thanks to its neurogenic electric organ, this fish continually emits wave form electric signals, which are very stable under constant ambient conditions, but tend to vary in the presence of pollutants. This technique could be incorporated into a system for detecting changes in the quality of surface waters (Thomas et al., 1996). Scientists have been able to extract antifreeze proteins form pond smelts (Hypomesus nipponensis) that can be used to protect the internal structure of products containing water (hydrated substances e.g. meat, vegetables, processed foods, blood, cells, tissues and organs). 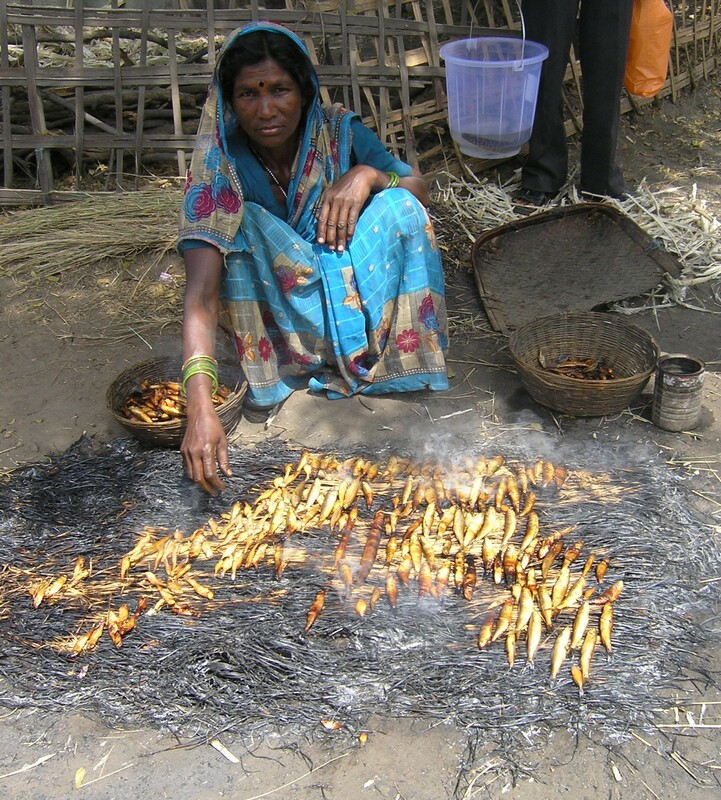 Fish are used in management to mitigate vector borne diseases like schistosomiasis and malaria. Due to bioaccumulation, predatory species have also been used as sentinels for the presence of toxic chemicals in waterways (Holmlund and Hammer, 1999). Perhaps because of their fecundity, small size, and economical maintenance and use, fish models are becoming well established in many laboratories. In fact, it is said that the facility that does not house at least one colony of zebrafish, medaka, or other fish species is probably not at the forefront of biomedical research (McHugh, 2003). The British Heart Foundation supports a major research programme on zebrafish (Brachydanio rerio), following the discovery that this species can heal damage to its heart (British Heart Foundation, 2011). • The earliest written records of koi carp, were first described in a Chinese book written during the Western Chin Dynasty, around 265-316 A.D.
• There is a novella written in the 1930s titled “A Riot of Goldfish” which tells of the impossible love of a breeder’s son for the daughter of a wealthy patron. As his love grows into an obsession, he attempts to create a goldfish that will capture and reflect her beauty. 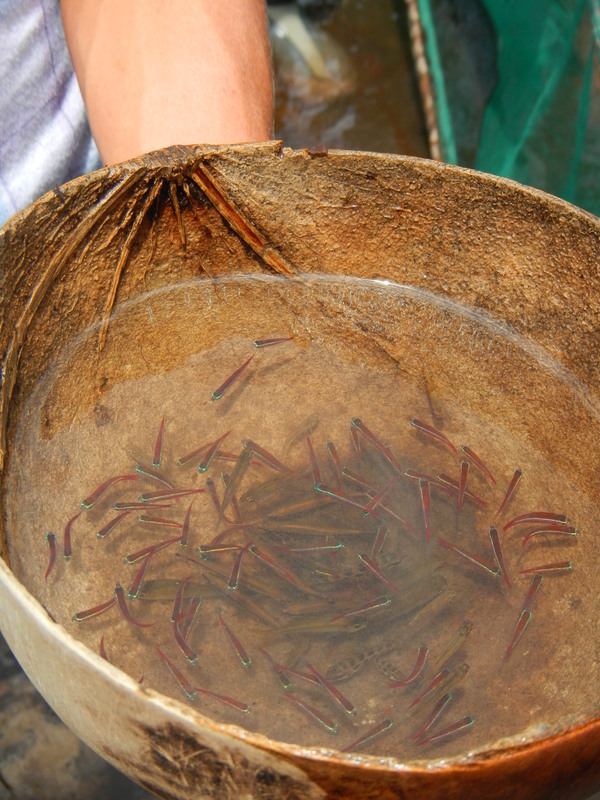 • Freshwater fish also have a part to play in the cultures of the different ethnic groups in Singapore. Some Malays believe that the climbing perch (Anabas testudineus) has the supernatural power of warding off or warning against the presence of evil spirits in the house. • Salmon figure prominently in Celtic tales, and are primarily associated with wisdom and prophecy. They often inhabited the sacred wells, feeding on the fruits (often, hazelnuts) of the tree of life. • Fish have been the subject of works of art for at least 14,000 years and appeared in primitive art from many cultures. In the twentieth century, fish were painted by many modern artists, including Matisse, Picasso, Klee, Masson, Beckman, Soutine, Magritte, and Thiebaud (Moyle and Moyle, 1991). • Fish-keeping for pleasure began with the Sumerians more than 4,000 years ago and it is still a major hobby today, worldwide. According to the World Association of Zoos and Aquariums (WAZA), more than 700 million people visit zoos worldwide, most of which have aquariums, and 200 million people visit aquariums globally each year. Beijing Aquarium alone accounts for 17.3 million visitors. British Heart Foundation. 2011. Zebrafish map out route to mending broken hearts. London: British Heart Foundation. Available here. Clausen, R. and York, R. 2008. Global biodiversity decline of marine and freshwater fish: A cross-national analysis of economic, demographic, and ecological influences. Social Science Research 37(4):1310‚Äì1320. Available here. Costanza, R., d’Arge, R., de-Groot, R., Farber, S., Grasso, M., Hannon, B., Limburg, K., Naeem, S., O’Neil, R., Paruelo, J., Raskin, R., Sutton, P. and van den Belt, J. 1997. The value of the worlds ecosystem services and natural capital. Ecological Economics 25 (1): 3‚Äì15. Available here. FAO. 2008. Yearbooks of fisheries statistics. Summary tables. Food and Agriculture Organization of the United Nations. Fisheries and Aquaculture Department. Rome, Italy. Available here (consulted 14/11/2008). Helfman, G.F. 2007. Fish conservation. A guide to understanding and restoring global aquatic biodiversity and fishery resources. Island Press.